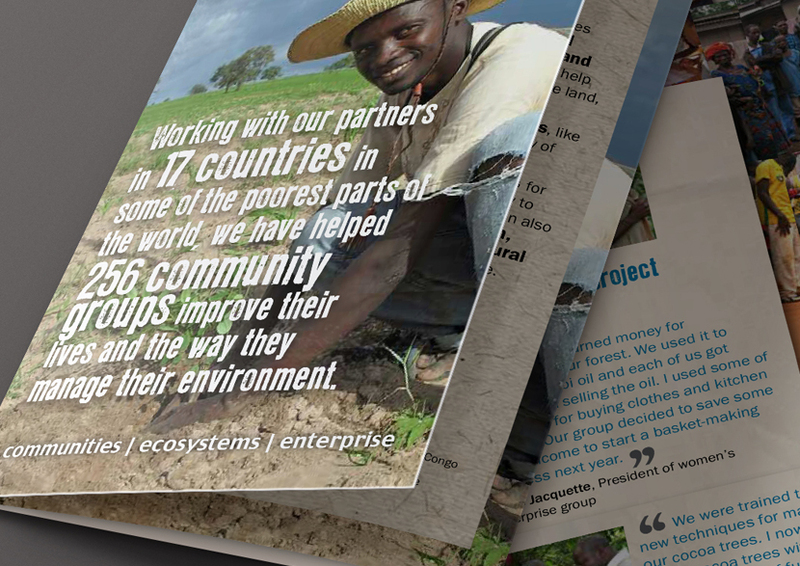 The charity needed a quick and simple way of explaining what they did to Governments, development agencies and people in general. 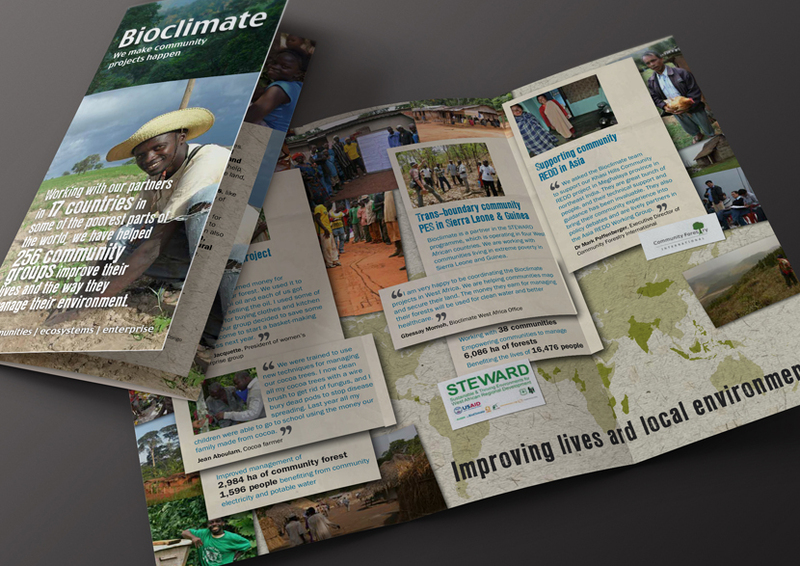 Using a simple 1/3 A4 leaflet we created case studies with appropriate quotes that showed the range, variety and depth of Bioclimate’s projects, the countries and partnerships they are involved in and the benefits they have created. 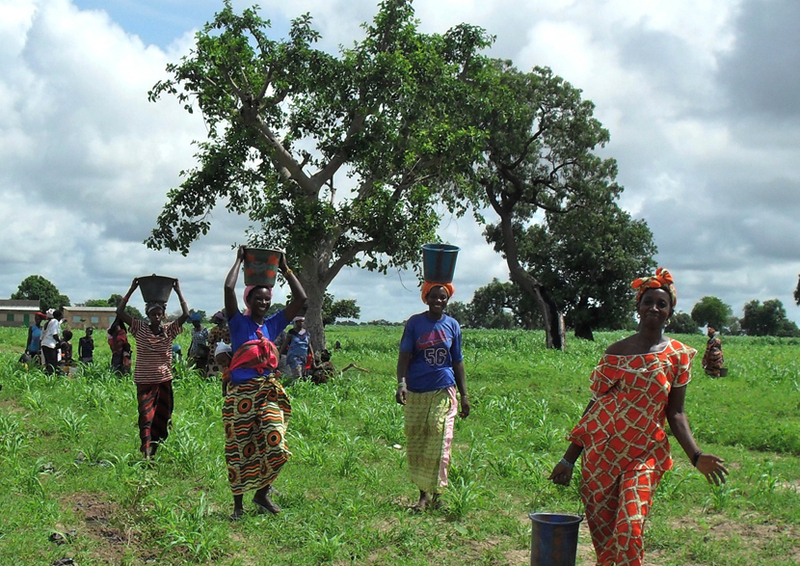 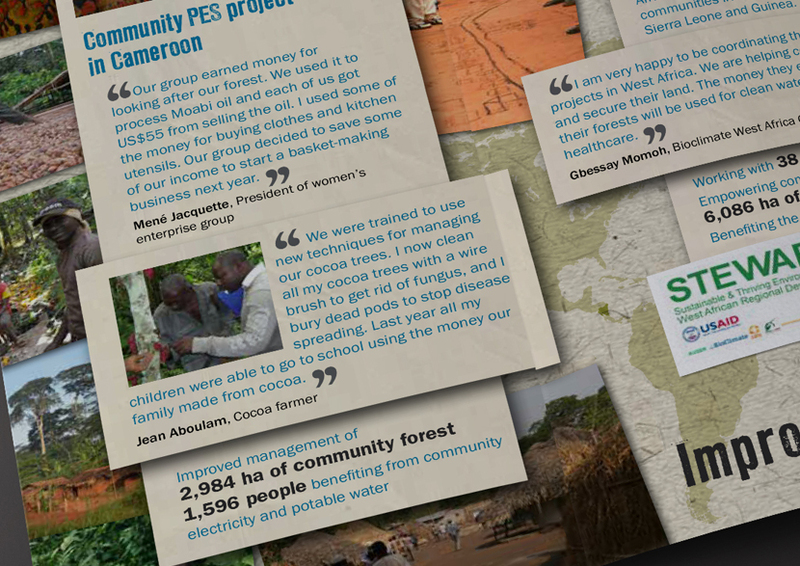 These case studies showed how rural poor communities unlock the potential of their ecosystem and natural resources to reduce poverty and protect the environment.